This morning, we received word that Themer, the popular automated Android theming app from MyColorScreen, had been removed from Google Play. We reached out to MyColorScreen to see if we could get word on a potential reason for the removal, along with any sort of timeline for a return. Here is what their team had to say. 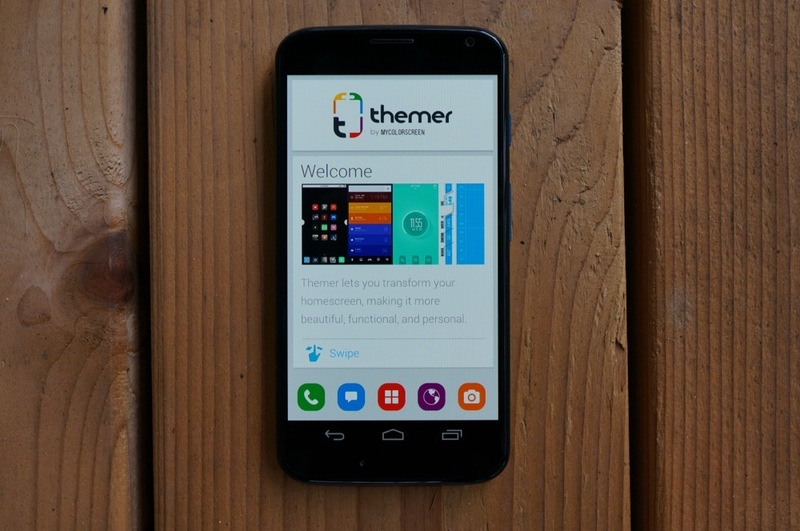 On the night of February 2, the Themer app was pulled from Google Play due to a copyright concern regarding their “Seven” theme. Who had the concern? Apple Inc. Apple claimed that several icons in the “Seven” themed infringed upon their copyrights, so the theme was immediately removed from Themer after being pulled from Google Play. For those not familiar with Seven, it does indeed resemble the look of Apple’s new iOS7. After pulling the theme from the app, there was hope that the app would return within a few days to Google Play. Unfortunately, that hasn’t happened. I can’t exactly say that I’m surprised, because it has been well-documented that Google is terrible when it comes to communicating with developers who have had their apps removed. In most cases, Google can’t even be reached to find out the reason for the removal. At this point, MyColorScreen does not know exactly when the app will be returned to Google Play. They have attempted to get in contact with anyone who could potentially speed up the process, but have had no luck, just like most developers in this situation. They are hoping that there is a queue and that Themer will be restored shortly. It should be noted that all of this hasn’t stopped them from continuing to developer the project and move towards Themer 1.0 (non-beta). MyColorScreen told us to expect more within a couple of hours. We’ll be sure to update this post as we can. Update: Here is the full statement from Themer. Update 2: The app has been reinstated to Google Play.